Lincolnshire’s Redhill Farm Free Range Pork is celebrating double success after being chosen by Jamie Oliver to supply one of his restaurants, as well as being named one of Lincolnshire’s favourite food businesses in a public vote. 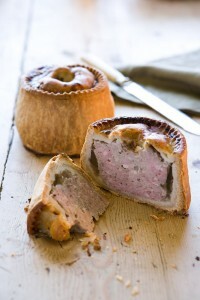 The award-winning farmer and producer has been selected by Jamie Oliver to supply its award-winning free-range pork pies for his British Tapas menu at his new Union Jacks bar at Gatwick airport. 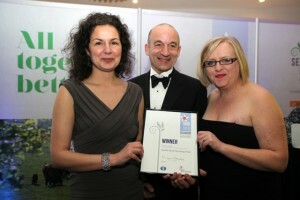 In addition, on February 7, Redhill Farm was named joint-winner of The Lincolnshire Co-operative People’s Choice Award, as voted by the public to honour their favourite Lincolnshire food producer or eatery. Redhill Farm Free Range Pork, run by founders and directors Jane and Terry Tomlinson, is a pioneer of high-welfare free range pig farming and was awarded Lincolnshire Producer of the Year in 2012. 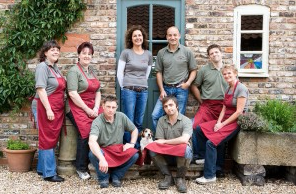 Farmers Jane and Terry breed, rear and produce nationally-acclaimed free-range pork from their small, Freedom Food-accredited farm near Gainsborough, Lincolnshire. After a visit to the farm last year, the Jamie Oliver team went away delighted with what they saw and how the company fits with the Jamie Oliver ethos.